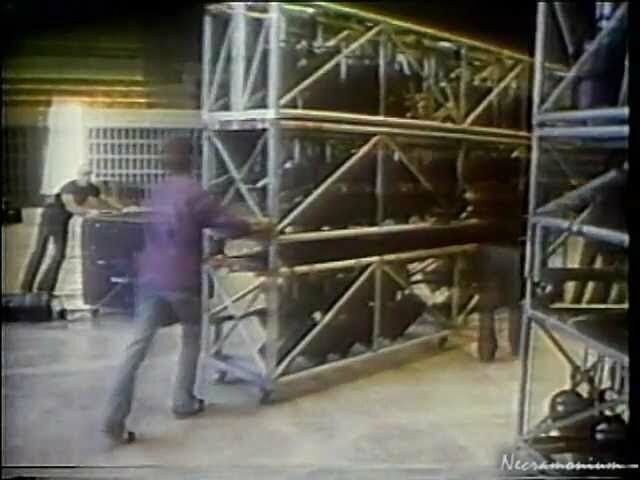 This is some great footage from 1979 during the Dynasty tour that shows how the stage was build up and much more. This was the first tour to feature the famous flying stunt by Gene Simmons. This was also the first tour to feature Ace Frehley’s “lighted guitar” and his rocket-shooting guitar, where after his smoke-spewing guitar solo, the still-smoking guitar would float up.